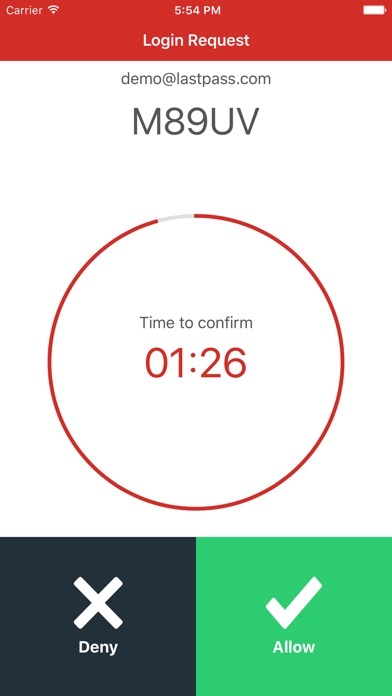 Sure, it allows a nice push button authentication for 2fa to LastPass but it doesn’t work right on the Apple Watch. I get a notification that lets me deny but not accept? Microsoft lets me do that, so does google, so does my employer’s 2fa vendor, Imprivada. Seriously, it needs to have functional pushes to the Apple Watch to be considered seriously. I’ve been using LP Authenticator for years now. It’s never done be wrong but what I’d really like to see is an app for my Apple Watch to show my rolling codes. That would be so handy. 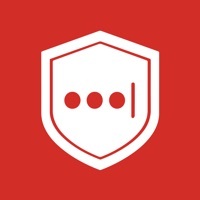 I’ve considered switching to a different auth app but I’m so deeply entangled into the LastPass web. Please bring this functionality!! Easy to recover if you reset your phone or get a new one and it's simple to use. It only seems to work properly if I remember to quit after each use. Otherwise I have to revert to manually entering passcode. Update: If they still haven’t fixed this bug, who knows what other bugs lie undiscovered? More serious ones? This is my only Authenticator app, and I’ve tried many. I like that it backs up to my Lastpass account, so a lost or damaged phone won’t require me to set up the codes all over again. 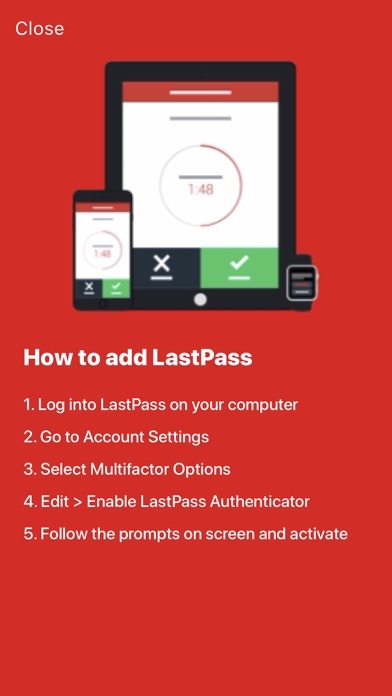 However, I don’t understand why the Lastpass app has Apple Watch support, but the Lastpass Authenticator app doesn’t. I don’t think I would ever want to look up a password on my watch. There are hundreds of websites with saved passwords, which makes it way too tedious. I would love to look up an authenticator code on my watch though. 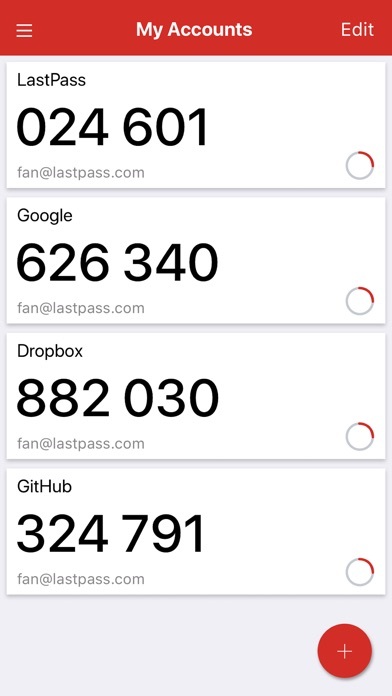 Most people don’t have that many accounts with Authenticator codes. Most people might have maybe a dozen auth codes. It would be simple to scroll through the list of codes with the watch crown, yet they haven’t done this. Better than Google Authenticator. Overall, the app is perfect. The way it auto fills codes is just amazing. The design of the app could be nicer in my opinion, more rounded shapes instead of rectangles, but that’s nothing major to complain about. I installed the app. I was given the option to restore from backup which I selected. 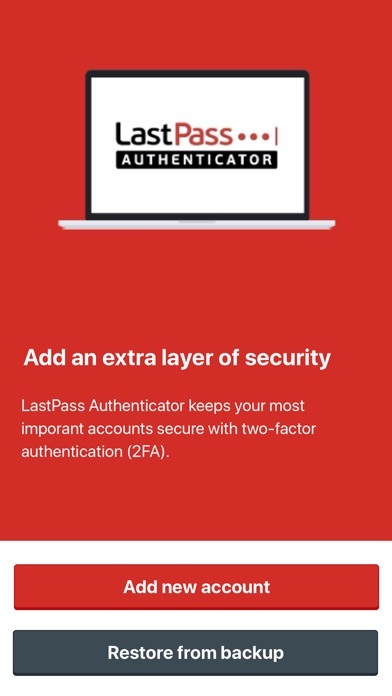 It prompted me to open up the LastPass app. 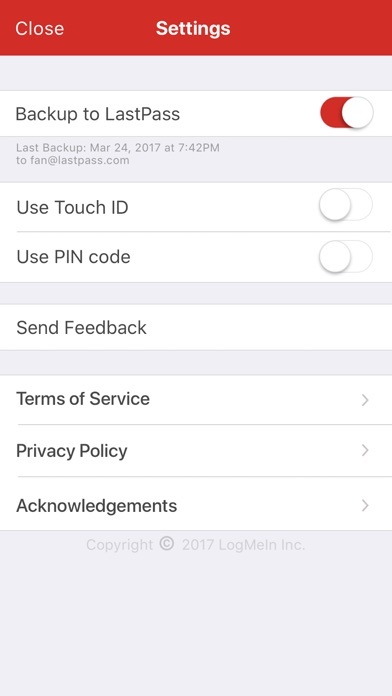 I signed into LastPass using TouchID and then it asked me to select an account to sign on. Why? I’m already logged on. App has clearly not been tested properly before releasing. Unable to use this app so uninstalled. All the standard features such as tapping to copy, easy to setup, and backup enabled. Minus one star for not supporting Apple Watch.